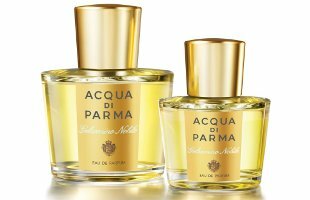 Gelsomino Nobile is the latest from Italian niche line Acqua di Parma. It's an 'ode to jasmine' (gelsomino being the Italian for jasmine), and it joins the two prior fragrances — Iris Nobile, Magnolia Nobile — in what is now called the Le Nobili collection. Much is made in the press materials about the particular jasmine used in Gelsomino Nobile: it's reportedly a "Jasmine Grandi Flora from Calabria, Italy - one of the last surviving Jasmine cultivation sites, for perfume making in Italy", and the "green and fresh aspect of this particular type of Jasmine gives a light and airy effect". The floral heart...is pretty, even extremely pretty. It’s sheer...it’s bright and lively at first...paler and woodier in the later stages. It’s very feminine and romantic, and it has a simple elegance about it, but in the end it’s too clean, too dainty, to appeal to me. If you’re looking for a light, clean, summer-y magnolia, not overly sweet, it might be just what you’re after. So. We start with peppery-fruity citrus, then we get a blended floral with a decidedly clean and dewy jasmine (and some just-barely-there clean dewy tuberose), then a light woody musk. It's soft rather than crisp, and it's gently green, with no bitterness. As with Magnolia Nobile, it's smooth and polished and office-friendly, and despite the sheerness, it's diffusive and reasonably long lasting. It isn't my sort of thing, really, although I didn't mind wearing it at all, and I have a feeling that the matching cream would make a useful layering agent. I wouldn't have called yesterday's Poet's Jasmine (by Ineke for Anthropologie) a quirky fragrance, exactly, but it's awfully quirky (and jasmine-y) in comparison to Gelsomino Nobile. I prefer the Poet's Jasmine, but Gelsomino Nobile is quite well done. It smells chic and expensive and modern — attributes that Acqua di Parma no doubt prefers over quirky — and it will surely appeal to many, including those who dislike richer, more indolic jasmines,2 and perhaps even some who like their jasmine straight up, but who want a more casual fragrance that they can wear out and about without fear of encountering wrinkled noses. Certainly it ought to appeal to anyone who liked the style of Magnolia Nobile. Acqua di Parma Gelsomino Nobile features notes of mandarin, pink pepper, orange blossom, tuberose, jasmine, cedar and musk. It is available in 50 ($108) and 100 ($170) ml Eau de Parfum and in a matching cream ($80 for 150 g). For buying information, see the listing for Acqua di Parma under Perfume Houses. Along with the new launch, Acqua di Parma will also commission a special collector’s edition, coffee table size book, published by Mondadori, featuring photography and historical commentary of some of Italy’s most famous gardens which capture the true beauty of the noble flowers highlighted in the Le Nobili collection. This book will be a limited edition, dual language, collector’s item and will be available for sale on the publisher’s website. The title of the book will be ‘Giardini Nobili’ (Noble Italian Gardens), which highlights the signature Renaissance style of Italian Gardens and Landscape Design. 2. See the review at Style's Beauty Counter blog; Celia Ellenberg notes that "...Gelsomino has made me reconsider my stance on jasmine, which is a feat in and of itself." Blah. I was not at all fond of the Magnolia Nobile, and now they’ve apparently gone and given us a standard, faily bland version of another of my favorite flowers. (Although this is less disappointing, since there are plenty of nice jasmines out there. Where are the good magnolia soliflores?) I guess my expectations were set too high after Iris Nobile, which, while not an iris soliflore really, was excellent. I keep meaning to buy a bottle but the EdP is so darn expensive. The iris got such a nice jolt from the anise, and was so nice & sharp, but then I assume the EdT did not do well & they quickly replaced it with the very different EdP (which I haven’t tried in so long I can’t remember why I didn’t like it). The Magnolia, and this one, are in a style that yeah, I don’t care for, but they’re so much better than so many department store florals that I hate to call them standard & bland, you know? Now I’m trying desperately to remember a dept store floral, heavy on the magnolia but not a soliflore, came out in the past 2 years, good perfumer — but absolute yawner. Wearing it for a few days would have made me crazy. In comparison GN is downright exciting, and they certainly spent more on the materials. The name will come to me later, I hope, and I’ll comment again. I do remember a video with the perfumer talking about the development. Of course, AdP straddles the niche market a bit, and it’s more expensive. But there has never been a magnolia fragrance I was dying to own. I recently saw both EDT and EDP of the Iris Nobile, but I didn’t know there was a difference other than concentration — it sounds like you recommend the EDT? Did not like the magnolia, BTW. I really love the EdT, and even though it may still be in stores, I think they’re no longer making it? I should try to find out for sure. Either way, I don’t think the Iris was nearly as clean as the Magnolia or the Jasmine, both of which to me are closer to the sort of fragrances that I expect to find in body products — but that’s definitely the modern style, so my tastes swim against the tide. Hi Robin – AdP still makes the Iris Nobile EDT, and it’s available at most stores that sell AdP. Oh good, thanks — don’t know where I got the idea that it was replaced by the EdP. I love the EdP, but the EdT sounds intriguing – I just don’t remember what it smells like, it’s been so long since I saw a tester of it at any of the AdP counters. Sparkling and summery sounds right up my alley and I love anise, but do have a bit of a mixed relationship with OB, as you know (scared of the soapy kind). Before I buy the richer EdP, I’d love to re-sample the EdT. I notice Sephora (online) still carries both concentrations. The EdT is really the only thing AdP has ever done that I wanted to own. I don’t think of it as soapy, but who knows — you might. It really was misnamed (see Abyss’ comment below) but beyond that, I doubt it’s a good fit with the AdP customer — not that it’s so esoteric or something, but the Magnolia & Jasmine are just more like how I think of AdP — high end but not quite niche Italian fragrances, good materials but nothing that calls attention to itself. Magnolia was probably a bigger disappointment to me only because I had high expectations after the Iris. And while I think I make it clear there that I don’t really want either of them, I hope it’s also clear that if you held a gun to my head and made me wear ONE of them, I’d pick the AdP in a heartbeat, no contest. Kenzo’s Eau de Fleur de Magnolia is nice – creamy magnolia and citrus. I like it better than Magnolia Nobile (which I ordered by mistake from TPC, thinking I had clicked on Iris Nobile; never got around to buying the iris.) The Kenzo is gentle and elegant but more interesting than Magnolia Nobile. I get a touch of soapiness from MN that is certainly not there in the Kenzo. The Kenzo magnolia did not change my life but it is a summer staple for me. I can’t remember, though, whether Kenzo’s ‘Eau de Fleurs’ perfumes are limited editions? They suit the taste of customers who would by these Acqua di Parma floral numbers as well. Gorgeous bottles (the Kenzos, I mean). I thought that was nice too. I think it was a limited edition, but wouldn’t swear to it. I bought a bottle of the Kenzo recently, but it was in a dusty box at the back of a shelf in duty free store. So I think it was a LE. It’s very nice, though I don’t wear it much. I tend to think of it as having more the spirit of magnolia than the actual smell, however, even though that sounds weird. Nah, I know what you mean. If your life depended on obtaining the world’s finest magnolia fragrance, this would not be it. Good effort tho’. Done by Francis What’shisname … ? Yep, just checked — it was Francis Kurkdjian. Thanks for the review, Robin. I’m curious to try this as a part of my seemingly never-ending quest for a perfect summer floral. I actually quite like Magnolia Nobile probably because I’m not really familiar with the real magnolia flowers so I had no expectations for it to smell a particular way. It’s pretty and I always enjoy it when I wear it although there’s something stopping me from truly loving it. Maybe the fact that it IS so very clean and safe. Iris Nobile EDT is quite pleasant if completely mis-labelled (I get no iris, it’s a white floral with emphasis on orange blossom and something like gardenia(?)). I disliked Iris Nobile EDP because the gardenia/amber part is quite prominent and oppressive. Come to think of it, the unbearable AG Matin d’Orage has a similar gardenia/woody amber base. My favourite feminine AdP is still Profumo which I think is wonderful in cold weather and deserves to get more love that it usually does. The iris really is as much about ob. I love ob so that was ok with me, and I do get plenty of iris too. The Profumo was lovely…I say ‘was’ because I know they redid it some years back and I can’t remember if I’ve smelled the new. Probably by now it’s been redone again for IFRA. But even the old, I thought was lovely without wanting to own it, couldn’t really say why, it’s been too long. 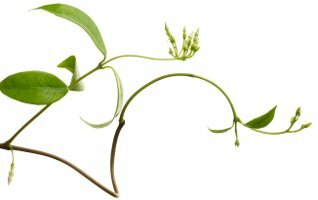 I love jasmine although I don’t know how to distingue each type. The mix of jasmine and tubereuse may works so well! Followers and writers of NSTPerfume what perfume of Blu Mediteraneo line do you preffer?? Is Colonia Essenza better than the original Colonia? How about Colonia Assoluta?? Robin, if my questions are on the wrong place, please tell me, ok?? My favorite was the Fico Amalfi. My favorite of the Colonia series was Colonia Intensa — sorry cannot remember the other 2 flankers that well, but never liked the original Colonia. Yummm….I love that Fico Amalfi. It makes me so happy!! to say no to it, but I just find it so enjoyable. Yes, I would say they’re cousins. Was wondering what people felt about L’instant as a magnolia frag? It is too sweet for me personally, but gosh, I haven’t tried it in years. Hardly remembered about the magnolia. I should give it another shot. A VERY honeyed magnolia. Once I loved it, and twice I didn’t, so never made up my mind. I don’t think its meant to be a soliflore though. I really liked gelsomino nobile! Smelling good,expensive and chic is no small achievement in perfume, niche or not niche, these days! I found the fragrance much less clean than you do, I found it resembled a love child between a la nuit and love and tears, with less techical faults than its parents, but less distinctive, maybe. Anyway, I love jasmine fragrances, and if they don’t end in those cheapo clouds of tenacious white musks they get full score! So glad you liked it, and totally agree about the clouds of laundry musk — this is *not* that. I had occasion to try this today and it was quite nice. I layered it over their yummy body butter, which is a bit greener than the perfume. I don’t NEED it or anything, and also tried the Iris Nobile edp, which I got a sample of and liked better. I am going to have to go back and try the cream, although can’t see paying that for any cream on earth. It feels really good, but, yeah, a bit spendy.